Pat cutlets dry with paper towels and season with salt and pepper. Heat one tablespoon EVOO in a 12” skillet over medium-high heat until just smoking. Cook until golden brown and cooked through, 2-4 minutes per side. Transfer to a plate and tent loosely with aluminum foil.Heat one tablespoon of the Wild Mushroom and Sage EVOO in the now empty skillet, add shallot, and cook until soft, about one minute. Add remaining one cup broth and bring to a boil. Whisk in mustard and sage and cook until slightly reduced, 3-4 minutes. Add ¼ cup pan sauce to barley along with apples, cranberries, remaining one tablespoon Wild Mushroom Sage EVOO and Cranberry Pear Balsamic. Stir to combine and season with salt and freshly ground black pepper to taste. Return turkey and any accumulated juices to skillet and simmer to warm through, about one minute. Serve with barley salad. 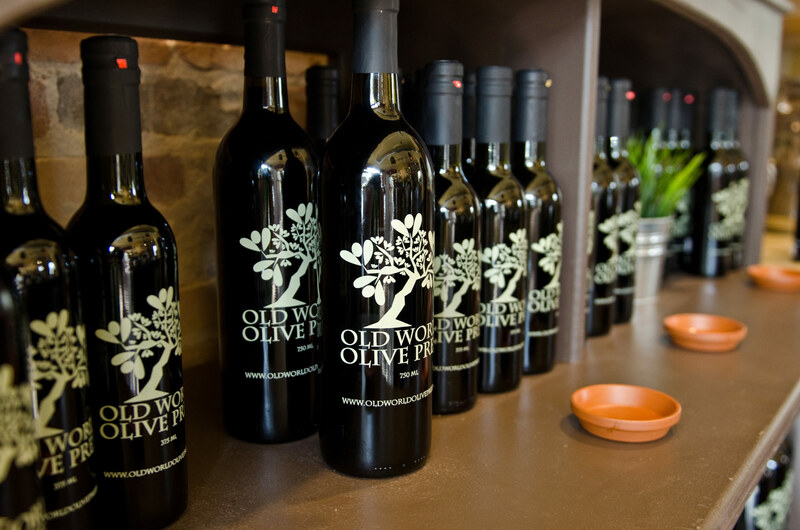 Old World Olive Press Summer Peach or Sicilian Lemon balsamic vinegars (60/40 ratios oil to vinegar). Cut potatoes into chunks and drizzle with oil/vinegar mixture. Roast in a hot oven until lightly browned and fork tender. Add Old World Olive Press Garlic EVOO and Pineapple Balsamic for a change, or Old World Olive Press Natural Butter EVOO and one of our spices. Mix all ingredients together and pulse in food processor. Add to pasta, rice dishes or drizzle over meats.